Is Luke 16 a LITERAL Story? In Luke 16:19-31 a LITERAL Story? No one with common sense could possibly believe that Christ was giving literal teaching. The whole thing is figurative from start to finish, and anyone who says differently should examine the matter closer. Now, it is clear that this passage of Scripture is NOT a parable because LITERAL names are used. The same is true concerning Luke 16:19-31, which employs the use of the LITERAL names of Abraham, Lazarus, and Moses. There is NO reason for us to believe that Luke 16:19-31 is a parable, none at all. Jesus NEVER said it was a parable! You won't find any mention of a “parable” in Luke 16, or of the word “like.” There is a clear distinction between the parables Jesus told and the literal accounts. 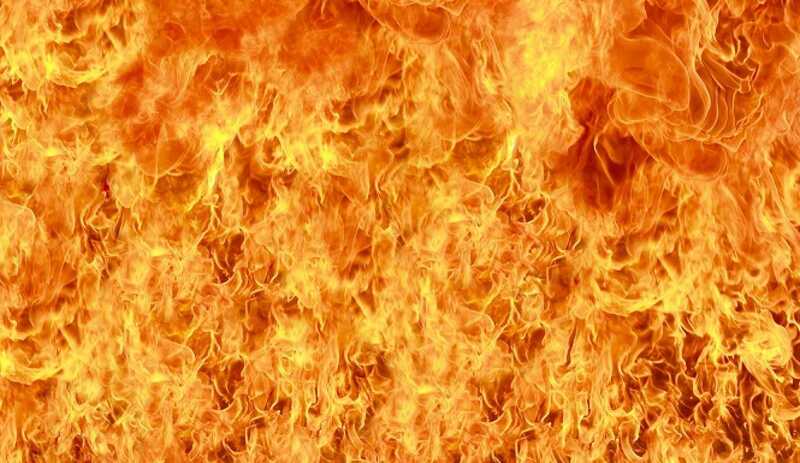 When Jesus warned the Pharisees that there would be “wailing” and “gnashing of teeth” in Hellfire, He was speaking in LITERAL terms... “And shall cast them into the furnace of fire: there shall be wailing and gnashing of teeth” (Matthew 13:50). To claim that Jesus' words are not literal is to attack His character and holiness. Jesus was not an actor or fiction writer. He came as the Son of God to seek and to save that which was lost (i.e., humanity). In John 14:2 Jesus plainly stated, “In my Father's house are many mansions: if it were not so, I would have told you...” Jesus was an honest man, Who said what He meant and meant what He said. Please read, Hell in the Scriptures. Dr. Ernest L. Martin is a False Prophet! Ernest L. Martin has been greatly deceived, and is leading people into Hellfire with his damnable doctrines. It is tragic when people, who know nothing about the truth of God's Word, twist the Scriptures, “...which they that are unlearned and unstable wrest, as they do also the other scriptures, unto their own destruction” (2nd Peter 3:16b). The only accurate method to interpret the Scriptures is with other Scriptures, by comparing truth with truth. The Word of God couldn't be any clearer that people who die in their sins will be punished forever in the tormentuous flames of Hellfire... “In flaming fire taking vengeance on them that know not God, and that obey not the gospel of our Lord Jesus Christ: Who shall be punished with everlasting destruction...” (2nd Thessalonians 1:8,9). Could the Bible be any plainer? Yet, fools like Mr. Martin go around telling people that Hell has no fire. Read the Bible! Luke 16:19-31 is a LITERAL Account! Jesus NEVER mentioned LITERAL names or places when speaking in parables—it was always “a certain man” or “a far country.” In sharp contrast, we have definitive, distinctive, recognizable people mentioned in Luke 16:19-31; namely, Abraham, Lazarus, Moses, the prophets and the dead. Thus, it would be foolish and certainly unscholarly not to accept this account as 100% true. To allege that Luke 16:19-31 is not a true story is to accuse the Lord of lying, because He is using LITERAL names, and thus attributing meaning and character references to those people. How foolish it is to deny the literalness of the Scriptures. Scientifically, historically, astronomically, archeologically, horticulturally, medically, and in so many other ways--the Word of God is 100% accurate and literal. Psalms 9:17 WARNS... “The wicked shall be turned into hell, and all the nations that forget God.” Now if “hell” only means the grave, then this Scripture makes absolutely no sense at all, because the righteous and the wicked would go to the SAME place. Why would God say that the wicked are going to Hell, if the righteous are going to the same place? Obviously, “hell” (Hebrew: Sheol) means much more. The message from Jesus in Luke 16:19-31 is abundantly clear, “...If they hear not Moses and the prophets, neither will they be persuaded, though one rose from the dead.” The rich man is suffering horribly, and unbearably, in the flames of Hell. He now realizes his foolish sin of rejecting the Savior when he had the chance, but was too stubborn and sinfully proud to humble himself before God. This is true of MOST people today! The rich man now BEGS Abraham to send Lazarus from the dead to WARN his 5 brothers lest they also come into this place of torment (Luke 16:28). The Word of God makes a shocking statement in Luke 16:31, by informing us that even if the dead were to return to warn the lost, they would STILL reject Jesus Christ. We read in Revelation 6:16 and 16:9-11 that men will endure horrible suffering, plagues, painful sores, and scorching heat during the Tribulation Period; YET, they will blaspheme God Almighty, hide in the mountains, and refuse to repent. We read in Romans 1:18 that wicked men hold the truth in unrighteousness. In other words, people willingly reject Jesus Christ, and they will have no one to blame except themselves when they split Hell wide open one day... “so that they are without excuse” (Romans 1:20). People choose to go to Hell in their sinful arrogance, wickedness, stiffnecked pride, and unwillingness to repent. Americans have even named one of their biggest cities—SIN CITY! You see, people KNOW that they are sinning against God; YET, they do it anyway in defiance! “Sin” is solely a Biblical term! Since they reject the Word of God, Wiccan witches, secular psychologists, and other pagan groups replace the concept of sin with “karma,” reciprocating evil for evil and good for good. You'll never find the term “sin” in a psychiatrists or psychologists manual. Since they refuse to acknowledge the root causes of man's problems, they cannot truly help anyone. If Hell has no fire, then the message of Moses and the prophets wouldn't matter. Again, the fact that Jesus mentions Moses (a literal name), and the prophets (a literal group), is solid evidence that Jesus was telling a factual account. For one to "listen" there must be a message to listen to. Since Jesus doesn't tell us what the message is in Luke 16, it would be reasonable to infer that the message includes EVERYTHING which Moses and the prophets said. Moses penned the first 5 books of the Bible. The Old Testament is composed mostly of Books penned by the major and minor prophets. Hence, Jesus was clearly referring to the Word of God. Today, we have the complete Bible, which includes the 27 Books of the New Testament as well. Most people today scoff and laugh in ridicule at God's Word, just as they did in the days of Noah. "For I have five brethren; that he may testify unto them, lest they also come into this place of torment. Abraham saith unto him, They have Moses and the prophets; let them hear them. And he said, Nay, father Abraham: but if one went unto them from the dead, they will repent. And he said unto him, If they hear not Moses and the prophets, neither will they be persuaded, though one rose from the dead" (Luke 16:28-31). I am amazed at the foolish conjecture of so many people today, who base their beliefs upon nothing more than mere speculation. They are quick to dismiss the reality of Hell. We hear MUCH talk nowadays about God's love; BUT, hardly anything concerning God's anger, wrath, or the day of judgment. The world is being brainwashed by the Devil, to believe that a loving God would never send anyone to burn in Hellfire forever; YET, we see suffering throughout the world today. 18,000 kids starve to death every day! Is it God's fault? Did anyone stop to consider the 8,900,000 millionaires in the United States in 2005? Real change can only begin with each individual person. Is it God's fault that people are greedy, and that government's are controlled by evil and ruthless thugs who despise the poor? No, we are all to blame! We see suffering all around us and mankind is 100% to blame! So why would you think eternity will be any different? It is hypocritical and self-incriminating for anyone, in lieu of the horrendous suffering that exists in the world today, to claim that a loving God would never allow anyone to suffer in eternity. But you say, “I don't believe in Hell.” That doesn't change it one iota! Hell is real whether you believe it or not. Have you ever spent some time thinking about what will happen if you're wrong and there is a Hell? Can you imagine being trapped in a dark and lonely place of fire, torment, smoke and burning. Revelation 14:11, “And the smoke of their torment ascendeth up for ever and ever: and they have no rest day nor night, who worship the beast and his image, and whosoever receiveth the mark of his name.” Do you really want to risk going to a horrible place like that, with no escape nor rest, day or night, for ever? My friend—Life is short, Hell is hot, and eternity is a long time!!! Why take that kind of immense risk when you don't have to? Eternal life is a free gift, which you can have right now, simply be BELIEVING THE GOSPEL. The reality of this present world is 100% supportive of the Biblical doctrine of eternal damnation in the flames of Hell, suffering the vengeance of God Almighty (2nd Thessalonians 1:8,9). Please read, Is God Unfair to the Heathen? I hear people all the time telling me that this world is hell, and they are correct in one sense of the term; BUT, don't be deceived, you haven't experienced Hell until you've been cast into Gehenna (i.e., the Lake of Fire) foretold of in Revelation 20:11-15. The miseries of this life can't compare to the horrifying damnation which God has PROMISED to all those who fail to obey the Gospel of Jesus Christ. Please note that the Bible clearly teaches a SECOND DEATH in Revelation 21:8, “But the fearful, and unbelieving, and the abominable, and murderers, and whoremongers, and sorcerers, and idolaters, and all liars, shall have their part in the lake which burneth with fire and brimstone: which is the second death.” How many lies do you have to tell to be considered a liar? That's right, just one! Even one sin is enough to send a man to Hell forever and ever. In fact, James 2:10 says that if you've ever lied, you're just as GUILTY in God's eyes as a murdering, adulterous, whoremongering, thief!... “For whosoever shall keep the whole law, and yet offend in one point, he is guilty of all.” Committing even one sin is all that is required to spend eternity in the horrendous Lake of Fire. Thus, you need a Savior—Jesus Christ! Let me tell you, as your friend, that you WILL burn in Hellfire for eternity if you DIE IN YOUR SINS. Jesus exclaimed in John 8:24, “...ye shall die in your sins: for if ye believe not that I am he, ye shall die in your sins.” Do you believe that Jesus is the Son of God, i.e., the Godhead incarnate? Do you believe that the Godhead became flesh, and walked among us in the Person of the Lord Jesus Christ? Colossians 2:9 states concerning Jesus, “For in him dwelleth all the fulness of the Godhead bodily.” Jesus was born of a virgin, lived a sinless life, and willingly went to the cross to be crucified for our sins (Isaiah 7:14; 2nd Corinthians 5:21; Hebrews 12:2). Jesus died , was buried, and bodily resurrected 3-days later (1st Corinthians 15:1-4). He ascended into Heaven, where He applied His LITERAL blood to the heavenly Mercy Seat (Acts 1:9-11; Hebrews 9:12). Jesus' liquid blood is sprinkled upon the heavenly mercy Seat in the presence of God (Hebrews 9:24; 12:24). Whom do you that Jesus is: liar, lunatic, or Lord? If you are willing to come to Jesus as a guilty, Hell-deserving sinner, under the condemnation of God's Law (Romans 3:10,19-23; 6:23)—then you can be saved simply by BELIEVING THE GOSPEL. “The Gospel” according to 1st Corinthians 15:1-5 is that Jesus Christ DIED on the cross for our sins. He was BURIED. And then three days later, Jesus bodily RESURRECTED from the dead. These three element constitute “the Gospel” (i.e., the “Good News”). Believe the Gospel and you are saved! 1st Corinthians 1:21, “For after that in the wisdom of God the world by wisdom knew not God, it pleased God by the foolishness of preaching TO SAVE THEM THAT BELIEVE.” We are saved by believing, nothing else! Jesus doesn't forgive sins, He has already paid for them with His blood. That's right! Thus, forgiveness is a gift, which you simply receive by faith to have. You simply need to acknowledge that you are an unholy sinner for sinning against a holy God, and receive the Gospel as payment for your sins. The very moment, Oh sinner, that you believe the Gospel, you have received God's free gift of forgiveness of sins and eternal life. There are no additional requirements! John 11:25, “Jesus said unto her, I am the resurrection, and the life: he that believeth in me, though he were dead, yet shall he live.” What a precious Savior!!! It is Jesus' literal blood on the Mercy Seat in Heaven that washes all our sins away (1st Peter 1:18,19; Revelation 1:5), by our faith in the redeeming work of Christ (Galatians 3:26). Colossians 1:14 wonderfully states... “In whom we have redemption through his blood, even the forgiveness of sins.” Amen! Please read, To Him That Worketh Not. Please don't listen to the liars who don't know their Holy Bible. Read God's Word for yourself—HELL HAS FIRE!